The New Year is upon us, which also means it's the perfect time for good resolutions! While it's great to want to lose a few pounds, call your parents more often or save more money it's also a good idea to make good resolutions for your business! No ideas? No problem: WebSelf has prepared the perfect good resolutions list along with tips and tricks! Let’s start this New Year strongly! 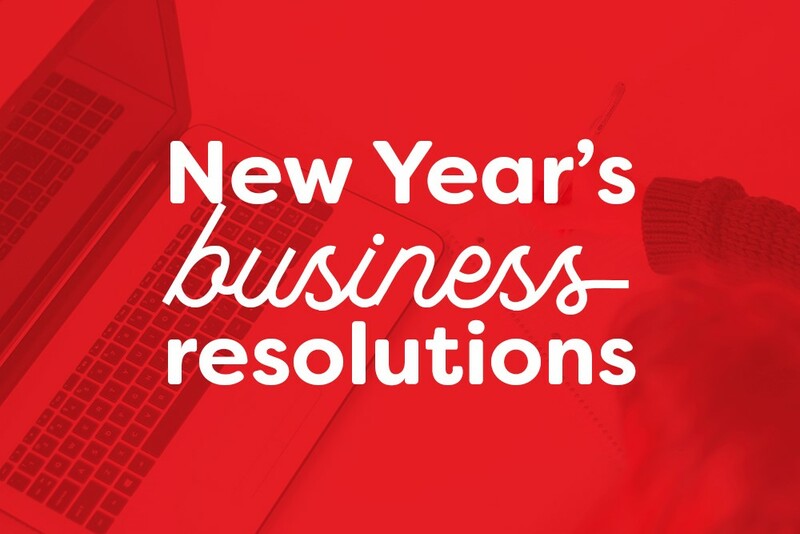 This resolution should be the primary goal of every business owner. Between us, who would NOT like to make more money? There are many ways to increase your income: launch a new product or service, put some products on sale (pay attention to your profit margins), build customer loyalty etc.! You can also try to reduce excessive expenses. Tip: Have you ever thought of selling products online? Subscribe to a Pro or Business plan and sell your products, whether digital or physical, directly on your website with our built-in online store tool! Get started today! If you aren’t on social media yet…. 2018 is the year to make the move! A simple Facebook page, or a Youtube account, will build customer loyalty and create a community with your followers. It’s important to keep them informed on news, funny moments of the day or upcoming sales! You can also interact with your customers by collecting comments or answering questions. This will make your business feel more humane and accessible. A blog has several benefits for your business, we talk about it in this article. In 2018, it's time to launch your blog! Use the free WebSelf blog tool to entertain and inform your customers. You can write articles on topics that interest you and are relevant to your industry. You can also use your blog to keep your customers up-to-date with your news. In addition, a blog is a good way to win new customers, who would have stumbled upon one of your blog article, who would visit your website and eventually become paying customers! We all like having a support system around us. Family, friends, always there to give us the support we need. Well, it's the actually the same for your business. It's time to go out looking for partners! Look for complementary businesses, to redirect your customers to their services/products, or vice versa. It is a good idea to form "professional alliances" to gain more customers and generate more revenue. For example, if you are a restaurant, you can affiliate with a spa to offer a nice spa/restaurant package! Tip: Never form a partnership with a company you do not share the values with at all or do not believe in. You do not want to send your customers to a company you would not do business with yourself. Accounting is not for everyone, and it's often the least-loved aspect of business owners! Rejoice, because there are several online billing tools available to you, and we strongly recommend our partner, Momenteo. 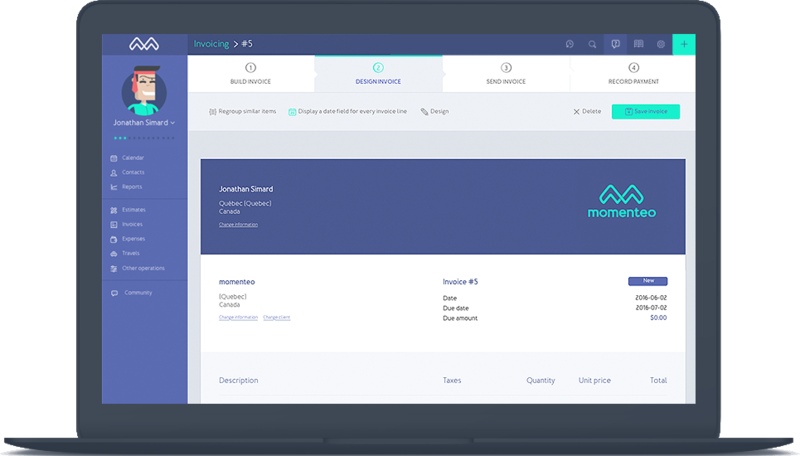 Momenteo is designed in the form of a calendar, it allows to add expenses, quotes, customers and create invoices, easily and for free! Momenteo offers an easy-to-use cloud-based interface with securely stored data. It allows you to manage your billing while giving you a clear picture of your business! No more piles of bills in your shoebox, use Momenteo to get your finances back in order! Good luck with your new resolutions! And we wish you a happy new year 2018!